Larry Grohn is ramping up his campaign for mayor and searching for ways to rise above the particulars of being a legislator on the city council to a winnable theory about the city and each voter’s place in it. Mr. Grohn is a detail-oriented former public school history teacher who often goes into the particulars of policy even as he is being pressed about his deepest philosophy about public service and executive government. His chief opponent among the mayoral challengers, Dave Crockett, is a great one for ideas and cutting-edge perspectives. Mr. Grohn is more prosaic and perhaps more practical, but much less conceiving of destiny for the River City. If Mr. Crockett thinks in terms of geopolitics and a post-U.S. perspective to escape the propaganda of maps, Mr. Grohn is spider webbed: Pothole budgeting. Data portal faults. CAFR revisions. Neighborhood group tactics. When pressed for an abstract of his campaign, Mr. Grohn offers instead action steps and policy points. Sweeping ideas about the public weal — those that make up much modern discourse inspired by the faded conceits of Rousseau — are a struggle for Mr. Grohn, but he perhaps sees that as authenticity, an unwillingness to propagandize. Mr. Grohn’s thinking often seems conventional rather than principled. The city is undergunned with 400 cops and needs 500, he says. But he bemoans the result of their work: Tens of thousands of criminal cases filed against people who, as a result, suffer blighted records that limit their employment prospects and add to a jobs crisis. But de-escalation training, demilitarization and other police reforms are unlikely. He’s another pro-police conservative. Openness and ethics. He plans to publish his schedule every week so that people can easily find him and meet him. Mr. Berke, who runs his office with layers of officials between him and the hoi polloi as if he were a federal senator, requires even foundation heads to fill out a form to get a few minutes of time, Mr. Grohn says. He would tinker on ethics enforcement. Jobs and housing. The most grandiose Mr. Grohn gets is on his second point. It is a roaring combination of what he calls workforce development and affordable housing, two cliches of municipal government. 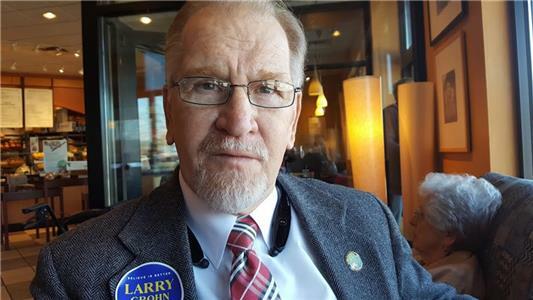 His language may not be as exactly as a libertarian or anarcho-capitalist free trader would want, but he says his arguments to bring about domestic health in Chattanooga are not a government works project or role as landlord. Rather, a sweeping “public-private” project to encourage people to stay away from police cruiser back seats, courtroom defendant benches and plastic chairs at the probation office. Getting outside help with policing. The third major theme flows from the second. It’s not really an idea, but again a plan. Improving policing by getting collaboration among agencies whose ostensible goal is fighting crime. It would begin with the Chattanooga police department and stretch all the way to Washington and federal enforcement clubs such as the ATF and the U.S. marshals. No more “hug a thug,” his lampooning of the Berke regime’s violence reduction initiative and pizza parties for young blacks. Mr. Grohn is a city council member who made a strong defense of marriage in 2013 when queer theory activists won approval of the city council for employee benefits for employees’ bed partners. Mr. Grohn was active in the overturning of the ordinance by public plebiscite. He was consistent and bold enough to oppose 15-year-old gay social theory and defend a basic human covenant existing since roughly Oct. 23, 4004 BC, the date on which Bishop James Ussher says God created the world. Mr. Grohn and his wife, Carol, have two sons in their 40s. Mr. Grohn is a practicing Christian, a member at Stuart Heights Baptist Church. The Berke administration is incomprehensible and impenetrable. No one can walk up to the mayor's office, wait 15 minutes, pop in and get five with Mr. Berke. His voice rising to a passion, Mr. Grohn vows no one will have to fill out a form to see him. But he is not excited by my proposal that the mayor have long rows of chairs in the hall outside his office for petitioners, pleaders, favor-seekers, complainers and other members of the public great and small who wish to see him and effectively keep him from his work for hours at a time, because they are more important than any schedule on those set days. Connected with his objection to nontransparency is Mr. Grohn’s observation on the ethics rules for city government. The city attorney should not oversee the ethics code because of a built-in conflict of interest. The city auditor should have that job, he says, that change striking him as significant. Mr. Grohn says he would be available and transparent, and not require people to fill out a form to get his time. Mr. Grohn, perhaps because of his work as history teacher, gives much attention to detail, and offers a nearly tedious analysis of a reform that is administrative and prospective in its benefit. His reform is effectively a detail: Remove the ethics function of city government from the city attorney, today Wade Hinton, and have it reside with the internal auditor. A second tinkering of this kind is a little easier to grasp. Mr. Grohn wants a “statement of interest” in which people on boards getting a city subsidy have to unburden all their financial and business interests on a proposed city form “much more enhanced than what we have now.” Volunteer boards do a great deal of good. “But do these individuals have conflicts of interest behind the scenes when they’re sitting on certain boards?” What about developers on planning the planning commission? He sees recusals and abstentions, but that’s not enough. “The public needs to see the cause of those retentions “ahead of time,” Mr. Grohn says. This move is a “political decision” by the mayor that has an ill long-term effect on policing, he says. But he follows conventional thinking on this point, which is that the police department is somehow independent within the city. It’s not. It obeys the mayor, the chief executive. When a detective solves a mayor, the mayor should get credit. When a cop performs the doleful duty of a statutorily permitted extra-judicial summary execution of a citizen such as that by Officer Daniel Stephenson in East Ridge, the mayor should take a hit. Such a killing is, indeed, political, because it is part of the state’s management of the citizenry in general as are taxation and licensure claims. Mr. Grohn is a traditional conservative and does not see the danger police pose to innocent members of the people and those intending to preserve constitutional rights and civil liberties. Niggardly pay stub numbers block his goal of more law enforcement against (or maybe for) Chattanoogans. “We’re trying to work towards that, but because our pay structure is so bad, Chattanooga ranks among the lowest average pay in the entire state of Tennessee.” $38,850 is average pay, he says, with the state average is more than $51,000. Mr. Grohn says city chiefs are harassing purported gang members, choking the court system with throwaway misdemeanor charges. Mr. Grohn suggests that police arrests and accusations in court are part of the problem of crowded dockets that also bring down commoners such as Mr. Melvin. Mr. Grohn is ready to change topics, to look beyond the knotty problem of abusive policing and the subjugation of blacks and the poor and their induction into the judicial system. He says later, “We need to let the police force do its job without any political intervention.” When he says if you are a criminal, we’re going to take care of you, he supposes that most police interactions are with criminals. Many are with innocent people who are scooped into city or sessions courts by commercial enforcement, racial and power harassment, turf and dignity protection actions, fine nonpayment that leave people cited, jailed, roughed up, tazed, shot, stunned or handcuffed. I get back to policing, warrantless and causeless arrests and hassling by officers against black residents. HVAC companies are “crying for technicians.” For plumbers, welders — “a huge critical need.” A two-year school could create wage-earning power with no college debt and the grad could earn as much as a person with a B.A., if not more. He envisions a “robust partnership” between city and businesses with a civic interest — but here Mr. Grohn shifts to affordable housing. Pilots, or tax benefit deals, are for being granted for one-bedroom studios and apartments, “workforce housing.” That’s not “affordable housing” for families, Mr. Grohn says. I ask what the mayor’s office has to do with housing. “The mayor is the one that pulls all these forces together.” He says 30 percent of the people in the city live in poverty. He proposes a “21st century Kirkman,” that is, a school for adults to get them qualified and made attractive for hiring by local business. The Kirkman trade school concept would help people “out of the school system” who may have a record, may have been incarcerated, but “are hampered by not being able to re-enter the workforce,” Mr. Grohn says. In November voters approved “ban the box,” which alters voter eligibility rules and helps job seekers with felony records survive city government’s job application process. His idea is that the Kirkman school would help expunge records. I mention Mr. Berke’s program to expunge records of some criminals, starting with a website, Restoremyrights.com. Yes, Mr. Grohn says, but taxpayer dollars should not help. He says a business should operate such an enterprise that would help with expungements and give career and trade training, “a free-standing business operation” whose grads could be hired to go teach new students the trades they’d learned. Some students would create or renovate houses or lots seized by the city in tax auctions. The city owns many vacant lots; in 2015 it tore down 137 condemned buildings. A land bank authority board that hasn’t met in a year was supposed to package properties for sale, Mr. Grohn says. Perhaps a city-formed business in an enterprise zone might gain traction. Trade school students could build houses as class projects on dead lots, he suggests. Mr. Grohn shoots down my proposal, “Your shantytown is my housing free trade zone,” a free market scheme to benefit — to create — the absolute bottom of the housing market. Squatting areas and spontaneous developments are subject official theft and city demolition. “That’s not a good idea,” he says. He proposes a nonprofit company, perhaps, that would oversee such a zone for the homeless, but he doesn’t envision my idea of creating a protocol of property ownership and self-made shacks or “tiny homes.” My thinking is that if homeless people can tentatively acquire a small plot of land and build securely on it, and stay 2½ years, they will be able to obtain title and become potentially upwardly mobile residents. Two insurmountable problems faced by the homeless, says mayoral candidate Chris Long, are that they do not have a fixed address nor means of securing their property. “There are ways where this can be made to work and actually pay for itself,” Mr. Grohn says, tentatively. What is the overarching concept of Mr. Grohn’s campaign? I persist in asking. No. 2, “we have too much homelessness, too much poverty, too much lack of affordable housing in Chattanooga. We have a dearth of individuals who are trained to be able to do a lot of the necessary work in the city. Yes, that is blue collar jobs.” A UTC grad may leave as an accountant and earn F$45,000 a year. Or you could be trained to build houses” and prosper just as much. Mr. Grohn says taxes would not rise under his administration, and could even go down. 1240 AM and 2-4 p.m. on 101.1 FM covering local economy and free markets in Chattanooga and beyond.